David Bebbington’s 1989 book, Evangelicalism in Modern Britain: A History from the 1730s to the 1980s, offered an interesting hypothesis regarding the genesis of that movement. He argued that evangelical religion had emerged as a substantially new entity through trans-Atlantic evangelical revival in the 1730s and had taken a collaborative rather than contradictory stance towards the Enlightenment. In both respects, Bebbington distanced himself from older interpretations that held the opposite view. Now, after nearly two decades, the ‘Bebbington thesis’ has gained very wide international acceptance, and a review of its central arguments and implica- tions is presented in The Advent of Evangelicalism. In this stimulating volume, numerous scholars from arts and theology faculties on both sides of the Atlantic—representing several countries, and united by an admiration of Bebbington’s work—take up various aspects of his 1989 volume and offer re-assessments. David Bebbington himself offers a substantial response. You can purchase it here from B&H. Patience is nothing that we enjoy! Have you ever wondered why things cannot be instantaneous when so much in life already is? We have instant coffee, instant meals, instant banking, and so forth and so on. Now, I can log on the net and do all my banking in an instant! It is incredible how fast our society runs and how quickly we expect things. Now my personality runs in that way like the world. If I have to wait longer than a minute or two on hold on the phone or for my French Vanilla Cappuccino at TIm Horton’s, I’m seeing red! But even in thinking through things from a Christian perspective we demand instant success. The health and wealth movement thinks that as soon as you are a believer a simple prayer of faith makes God instantaneously bring about financial success! Or, there are those in the Wesleyan movement for instance that believe that one can attain instant sanctification instead of going through the grueling process of the battle with sin in the Christian life. Why does God want us to learn things over time than in an instant? I will be leaving today to drive down to Pennsylvania to pack up my fiance’s things and move them all up here to our new home in St. George. I am already feeling impatient! And I have felt that way through our relationship. At my age, when you find the right person, you don’t want to wait any longer! July 26 cannot come soon enough! Also, through almost all our time together I have been searching for where God wants me to be in ministry. It was in the 11th hour that He answered it and brought me to Slavic Gospel Association. What is He trying to teach me? First, He is trying to teach me that time is meaningless to Him. Peter says in 2 Peter 3:8, “But do not forget this one thing, dear friends: With the Lord a day is like a thousand years, and a thousand years are like a day.” God is completely outside of time. He is not affected by time. It has been said that the past, present, and future, are present concept to Him all at once. He knows the past and the future as if they were the present. We live in a quick fix, instant society, but God lives in timelessness. In that timelessness we have to be willing to work on His time, not our own. Patience is something He is teaching us through his timelessness. In the end, remember that all we do here on earth is but a blip in the timeline of history. We must have an eternal mindset and know that only what we do for an eternal purpose in life will truly matter later. Second, He is teaching that patience is an evidence of a godly life. Galatians 5:22-23 in that fruit of the Spirit section tells us this. “But the fruit of the Spirit is love, joy, peace, patience, kindness, goodness, faithfulness, gentleness and self-control. Against such things there is no law.” As beleivers we should recognize that we are to be patient as a reflection of God’s work in us. Quick tempered impatient people are not people who are pursuing godliness the way they should. A fruit of the work of the Spirit in the lives of the believer is patience. So pursue patience as a reflection of the work of Christ in your life. Third, He shows us that patience effects much! The Scriptures are full of teaching that patience effects much in our life. We can do much through patience that we could not do through impatience! Proverbs 25:15 reads, “Through patience a ruler can be persuaded, and a gentle tongue can break a bone.” The idea here is that patience can win over people and accomplish things that could not be done in an instant. For instance, part of my ministry with SGA is fund raising. It is easy to get impatient with churches and individuals hoping they will support the ministry right away. Sometimes it takes time to work with individuals to bring them where you want them to be whereas an immediate demand for a response would have brought resistance. Be patience practically because it brings much reward! Finally, God wants us to be patient because He is patient with us. In our sin God does not judge us as He should, but instead is patient with us, enduring much on our behalf. Romans 2:4 reads, “Or do you show contempt for the riches of his kindness, tolerance and patience, not realizing that God’s kindness leads you toward repentance?” God is patient with you in your sin. You deserve death each day for your rebellion against Him, but he allows you to remain on earth. He is patient so you too must be patient! So, thank God that He does not do things for us in our time but does it in His time. For His time is always best and it is for our good. So much of what we have today in our instant society makes us selfish and demanding. Instead, learning patience, no matter how hard it is, will be something that changes us and continues to conform us to the image of Christ who is the most patient man who ever lived enduring in patience with our sin, the cross for our salvation. Praise the Lord the Christian life is not easy and that we must endure much in order to teach us patience! Now a minister ought to take heed to his doctrine, that it be according to the scriptures, all scripture is given by inspiration of God, and is profitable for doctrine (2 Tim. 3:16). True doctrine springs from it, is agreeable to it, and may be confirmed and established by it; therefore if any man speak, let him speak as the oracles of God (1 Pet. 4:11). He should be careful, that his doctrine has a place in the word of God, that it takes its rise from it, is consonant to it, and capable of being proved by it: To the law, and to the testimony; if they speak not according to this word, it is because there is no light in them (Isa. 8:20). Whatever doctrines do not spring from these fountains of light and truth, or are disagreeable to them, must be accounted divers and strange doctrines. Care should also be taken by a minister of the gospel, that his doctrine be the doctrine of Christ; that is, such as Christ himself preached, which he has delivered out by revelation to others, and of which he is the sum and substance. We preach Christ crucified, to the Jews a stumbling block, and to the Greeks foolishness (1 Cor.1:23). This doctrine is most likely to be useful for the conversion of sinners, and comfort of saints; and a man that does not bring this with him is to be discouraged and rejected Whosoever transgresseth, and abideth not in the doctrine of Christ, hath not God: He that abideth in the doctrine of Christ, he hath both the Father and the Son. If there come any unto you, and bring not this doctrine, receive him not into your house, neither bid him God-speed (2 John 9,10). Moreover, a minister should take heed that his doctrine be the same with that of the apostles. It was the glory of the primitive Christians, that they continued steadfastly in the apostles doctrine; and it must be the excellency of a man’s ministry, that it is agreeable to that faith which was once delivered to the saints. Jesus Christ received his doctrine from his Father, which he delivered to his apostles: I have given unto them says he, the words which thou gavest me, and they have received them (John 17:8); who also were guided by the spirit of truth into all truth, as it is in Jesus; and under the inspiration of the same spirit have left the whole of it in writing to the churches of Christ; which should be the standard of a gospel-ministry throughout all generations. Besides, it becomes a preacher of the Word to be careful that the doctrine he teaches be according to godliness; that it is not contrary to the moral perfections of God, or has a tendency to promote a loose and licentious life; but that it is agreeable to, and may be a means of increasing, both internal and external holiness. Sin, as it is a transgression of the law, so it is contrary to sound doctrine; which sound doctrine is according to the glorious gospel of the blessed God (1 Tim. 1:10, 11). The gospel no more countenances sin, than the law does; the grace of God, the doctrine of the grace of God, that bringeth salvation, the news of it to sinners, hath appeared to all men, Gentiles as well as Jews; teaching us, that denying ungodliness and worldly lusts, we should live soberly, righteously, and godly in this present world. Whatever doctrines are subversive of true piety, or strike at the life and power of godliness, are to be rejected: if any man teach otherwise, and consent not to wholesome words, even the words of our Lord Jesus Christ, and to the doctrine which is according to godliness; he is proud, knowing nothing, but doting about questions, and strife of words, whereof cometh envy, strifes, railings, evil furnishings, etc. (1 Tim. 6:3-5). Again, it is highly necessary, that a pastor of a church should be careful that his doctrine be such as makes for the edification of the people; it ought to be solid and substantial, suited to their capacities, and what is food convenient for them; he should nor, therefore, give heed to fables, and endless genealogies; he ought, in his ministry, to shun profane and vain babblings, and oppositions of silence, fairly so called. He should not strive about words to no profit, but to the subverting of the hearers; and should carefully and diligently avoid foolish and unlearned questions, knowing that they do gender strifes (1 Tim. 1:4; 6:20; 2 Tim. 2:14, 16, 23). John Gill, “The Duty of a Pastor to his People.” Preached at the Ordination of the Reverend George Braithwaite, M.A., March 28, 1734. Available from Joshua Press June 2008 here. Alexander Stewart was converted to Christ during the dramatic revival in Moulin, in the Highlands of Scotland, in 1799. This revival fuelled a strong outpouring of missionary activity and church planting throughout Scotland. Stewart felt the call of God on his life and attended Robert Haldane’s Theological Seminary, following this with years of evangelism and church planting in Perthshire. In 1818 Alexander and his wife, Janet, with their young family, emigrated to Upper Canada—the New World was opening up and many Scots were taking advantage of the promise of free land, employment opportunities and the excitement of a frontier life. Alexander saw it as an opportunity to bring gospel light to the settlers and new immigrants, as well as a place to raise his family. They eventually settled in York (now Toronto) and established the first Baptist church there. Stewart’s church planting and preaching ministry also extended to the surrounding townships of Esquesing, Chinguacousy and Eramosa. Alexander Stewart’s story is one of persistent zeal for the extension of God’s kingdom and a fervent desire to do what he could to bring the gospel to a young country. Glenn Tomlinson has extensively mined the archives and resources from this time in Scottish and Canadian history to bring us this compelling story of a man determined to establish centres for the gospel in Scotland and Canada. About the author… Glenn Tomlinson was born in Toronto, Ontario and raised in a godly Christian home, coming to faith in Christ at an early age. A graduate of the University of Toronto in Commerce and Economics, he worked in the financial services industry for fifteen years. During this time he also served in leadership roles at Jarvis Street Baptist Church, Metropolitan Baptist Church and Port Perry Baptist Church, all in the greater Toronto area. Recognizing God’s call on his life, he entered vocational ministry in the summer of 2005, taking up the position of pastor at Sovereign Grace Community Church, Sarnia, Ontario. He was ordained in 2007. Glenn is a student of church history and has written articles for The Gospel Witness and co-edited From strength to strength: a pictorial history of Jarvis Street Baptist Church. He is married to Sonja and they have four children. As I have been reading more on the history of Christian spirituality, I thought I would share with you some thoughts on spiritual warfare. 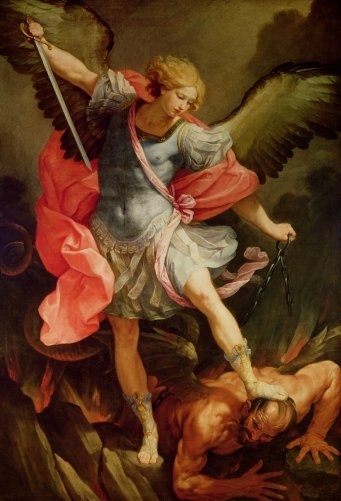 One of the most confused areas of Christian theology seems to be that of angels, and demons, and how to wage spiritual warfare against the principalities! Here is hopefully some helpful information for you. The church of Jesus Christ has made much noise about spiritual warfare and there are many disagreements over the nature of this warfare and how to deal with it. Some lead us to believe that Satan and his demons are constantly attacking believers and we must be under constant attention to them and thwart their temptations. Others ignore totally the threats and temptations of Satan and his demons and assume they have no bearing on the life of the believer. Both extremes are false. First, we will look at the nature of Satan and His demons. Second, we will look at what effects they can have on believers. Finally, we will look at how a Christian does battle against these invisible enemies. McCune tells us there are distinct values to studying Satan (and of course by extension, his demons). First, it enables us to know our foe and how to combat him. Second, it reveals to us the presence of an evil genius in the world. Third, it saves us from a belief in moral dualism (equal opposing forces of good and evil). This enemy of God goes by many names and often are reflective of his evil. He is called Satan (adversary), devil (slanderer), Beelzebub (ruler of demons), Belial (worthless), Serpent (harkens back to the Garden), Tempter, Wicked One, Prince of Demons, God of the World, Prince of the Power of the Air, the Accuser, Prince of this Word, The Dragon, Evil One, and Deceiver. He was once an angel, amongst many, that chose to rebel against God and fell (1 Tim 3:6). His works are most important to our study here. He slanders and opposes God and God’s plan (Gen 3:4–5; Zech 3:1–2). He counterfeits God and His word (2 Cor 11:14–15). He accuses and slanders believers (Rev 12:10). He sows tares among the believers (Matt 13:39). He incites persecution against believers (Rev 2:10). He tempts believers to sin (1 Cor 7:5). He harasses believers (2 Cor 12:7). He deceives the nations (Rev 20:3). He blinds the minds of unbelievers (2 Cor 4:4). He takes the Word from unbelievers (Matt 13:19). He performs other misdeeds as well. Demons are fallen angels (Matt 25:41; Rev 12:7). They perform many wicked acts. They oppose the people of God (Eph 6:12). They hinder the work of good angels (Dan 10:13). They support the work of Satan (Rev 12:7). They control bodies of men and animals (Mark 5:8–13) They inflict physical infirmities (Mark 9:17, 25). They produce moral impurity (Mark 5:2). They may work miracles (Rev 16:13–14). They bring about false doctrine and false worship (1 Tim 4:1–3). What Effects Does Satan and his Demons have on Believers? The effects of Satan and demons can be expressed in positive and negative terms. First, there are things that they cannot do. They cannot possess a believer. Some disagree. Many believe that in fact Christians can be possessed by a demon. Possession implies complete control and victimization by a demon. Very clearly, the Scripture seems to affirm that a believer cannot be possessed. He cannot be possessed because they are indwelt by the Holy Spirit (1 John 4:4). Second, demon possession requires complicity (Matt 12:43). A believer cannot be in total complicity with the devil. But, a Christian can seemingly come under some kind of demonic attack. Luke 13:11, 16 seems to imply that we can be affected by the temptations of the demonic. Very simply as well the book of Job seems to imply this. Satan very subtly attempts to deceive believers and lead them into sin. How Does a Christian Battle these Invisible Enemies? This is accomplished by putting on the armour of God. Ephesians 6:10–20 tell us that we are to resist the work of Satan and his demons by arming ourselves. The focus is obedient living. “Biblical spiritual warfare is not about knowing Satan—it is about so knowing God and walking with Him that we readily recognize the counterfeit offers of the Enemy. Putting on the armor is about making disciples through teaching…. his point was that faithful Christian living is itself effective in undermining the Enemy.” Lawless offers a holistic approach to spiritual warfare through right living and obedience to God. Spiritual warfare is won through the exaltation of God through worship, evangelizing the world, equipping believers, edifying others, encountering God through prayer and the Word, and encouraging one another. Success in battle is living obedient and holy lives to God the Father through the provision of the Son, and the power of the Spirit. God has not told us how to detect demons, how to know their names, or how to cast them out. Instead, He has exhorted us repeatedly in His Word to shun sin, make no place for Satan in our lives, and resist the devil by obeying the Lord. At the moment of salvation Jesus delivers the believing one form the power of darkness and transfers him or her into the kingdom of God’s dear Son (Col. 1:14). We need to put into practice the victory Christ has already achieved for us, always keeping in mind the exalted position we have in Him. Satan is a defeated foe. Victory is ours in Christ and Him alone. Rolland D. McCune, “Systematic Theology I” (Unpublished Class Notes, Detroit Baptist Theological Seminary, 2001), p. 192. C. Fred Dickason, Angels: Elect and Evil (Chicago, IL: Moody Press, 1975), p. 115. For a good explanation of many of these names see Robert Lightner, Angels, Satan, and Demons (Nashville, TN: Word, 1998), pp. 73–76. See Dickason, Angels, pp. 144–149; McCune, “Systematic Theology I,” p. 197. McCune, “Systematic Theology I,” p. 200. Many are confused on this issue. Dickason is unsure whether possession could happen to a Christian (Angels, pp. 188–192). Others on one hand seem to believe in possession while at the same time seemingly denying it (see Ed Murphy, The Handbook for Spiritual Warfare [Nashville, TN: Thomas Nelson, 1992], pp. viii–xi). Thomas Ice and Robert Dean, Jr., Overrun by Demons: The Church’s New Preoccupation with the Demonic (Eugene, OR: Harvest House, 1990), p. 119. McCune, “Systematic Theology I,” p. 203. See the very helpful book by Richard Mayhue, Unmasking Satan (Wheaton, IL: Victor Books, 1988). Ice and Dean, Overrun by Demons, p. 135. David Powlison, Power Encounters: Reclaiming Spiritual Warfare (Grand Rapids, MI: Baker, 1995), p. 22. John MacArthur, Jr., How to Meet the Enemy: Arming Yourself for Spiritual Warfare (Wheaton, IL: Victor Books, 1992), p. 68. Chuck Lawless, Discipled Warriors (Grand Rapids, MI: Kregel, 2002), p. 55. Lawless’ book is probably the best there is on spiritual warfare. He structures his whole book around these paths to becoming discipled warriors (see throughout). Lightner, Angels, Satan, and Demons, p. 93. Instead of posting summer readings lists like Al Mohler (here and here) and C. J. Mahaney (here) I am simply posting my own personal reading list. Not that I don’t find what is on their lists interesting (except I’m not a sports nut and therefore half of Mahaney’s list does not apply to me) but I thought I would simply share my reading plans. Some are currently in process, others I will begin shortly. I have 3 weeks on the beach in Florida this August and plan to read until my heart’s content! Thankfully I also have a fiance who loves to read! 1. Mayflower: A Story of Courage, Community, and War by Nathaniel Philbrick. I picked this up at O’Hare while i was waiting for a flight. I had heard it was excellent. It is incredibly engaging while seemingly very accurate and fair theologically. If you have an interest in the Pilgrims, the founding of America, and such, you will enjoy this book! 2. Assist me to Proclaim: The Life and Hymns of Charles Wesley by John R. Tyson. Charles Wesley, the lesser known brother of John Wesley, lived a fascinating and God fearing life. His hymns reflect a really godly evangelical piety and have much to teach us today. When often we are abandoning some real excellent hymns of the faith today we should study the life and hymns of this great saint! 3. For Us and Our Salvation: The Doctrine of Christ in the Early Church by Stephen J. Nichols. Evangelicals seem deathly afraid of the Church Fathers. Stephen Nichols here, who is amazing at making complex historical and theological issues simple, shows the need to study the Early Church. He focuses on the debates regarding the doctrine of Christ and how important it is for us to study these things out amongst the issues we face today! 4. Water from a Deep Well: Christian Spirituality from Early Martyrs to Modern Missionaries by Gerald L. Sittser. I have developed a love of the history of Christian spirituality from my friend Michael Hayking. Sittser’s book does an excellent job of engagingly describing the spirituality of the various epochs in church history. We have much to learn from those who went before us! David Bebbington with his quadrilateral approach to understanding Evangelicalism has clearly had an immense impact on history of Evangelicalism. 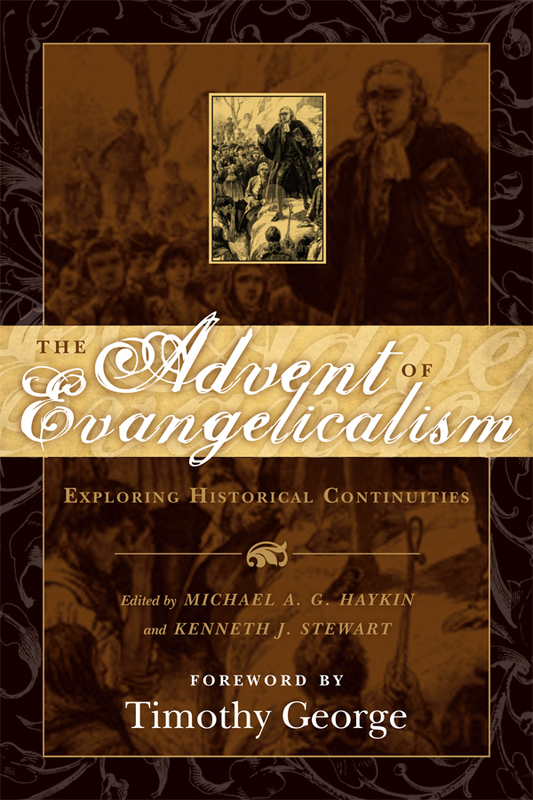 Haykin and Stewart and other writers interact with Bebbington’s hypothesis about the origin of Evangelicalism and Bebbington replies. Looks to be an excellent volume but sorry folks, only available in the UK right now! Fraser, an excellent biographer, provides for us an in-depth look at the Lord Protector Oliver Cromwell. While she is fairly pro-Cromwell she does not cover over his faults nor does she vilify him like others do. She presents a fair assessment of his life and influence. A must read to understand this crucial point in British history and where Protestant’s ruled Britannia! Hughes was an important pulpiteer that is worthy to be honoured for his work for Christ and His church. With essays by Wayne Grudem, John Macarthur, J. I. Packer, Duane Litfin, D. A. Carson, Philip Ryken and others, this is a must have book for preachers this summer! Van Til, best known as the developer of Presupositional apologetics was a giant amongst men. His understanding of the Word, theology, philosophy was unparalleled. Yet, he was not an ivory tower theologian, but put his theology into practice as a dedicated churchman. If you are unsure of the life or thought of this man, pick up this biography to shed some much needed light! Packer and Dever amongst any have a singular understanding of the importance of a correct view of the atonement especially as it is manifested in the penal substitutionary approach. This is mandatory reading for all pastors, church leaders, and laypeople to better appreciate the work of Christ on our behalf! This blog has as its contributor’s five professors at Southeastern Baptist Theological Seminary. Theses are: Dr. Daniel L. Akin, President of SEBTS where he teaches courses in theology, preaching, and hermeneutics, Dr. Bruce R. Ashford, director of the Lewis A. Drummond Center for Great Commission Studies and Associate Professor of Philosophy and Intercultural studies at SEBTS, my good friend Dr. Nathan A. Finn, Assistant Professor of Church History at SEBTS (see his great personal blog here), Dr. Kenneth Keathley, Dean of Graduate Studies and Professor of Theology at SEBTS, and Dr. David P. Nelson, Senior Vice President for Academic Administration and Dean of the Faculty at SEBTS where he teaches courses in systematic theology and worship. This looks to be an exciting helpful contribution to the blog world. I know one of these men personally, and I have met two of the others, and know one by reputation and am convinced of their love for God, the church, and especially as it is manifested in the SBC. I am sure that this will be an encouraging and challenging addition to discussion, particularly discussion in the SBC context. Check out it regularly! I highly recommend it! You are currently browsing the Working out Salvation with Fear and Trembling blog archives for June, 2008.